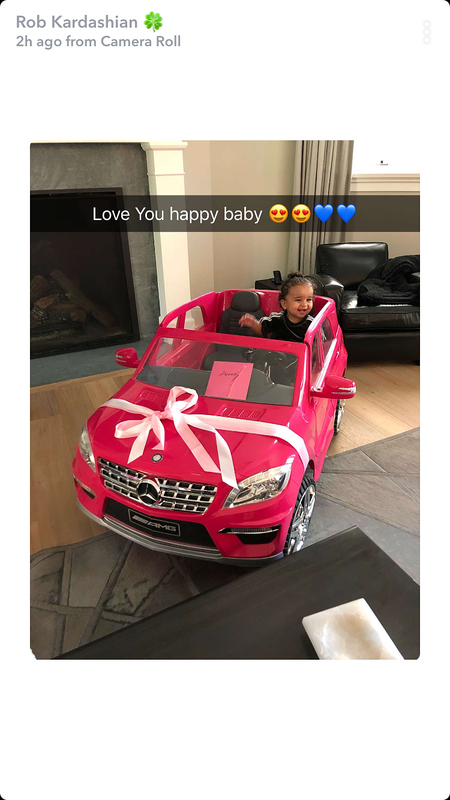 Rob Kardashian threw his daughter, Dream, a first birthday party on Friday, November 10, attended by several members of his famous family. 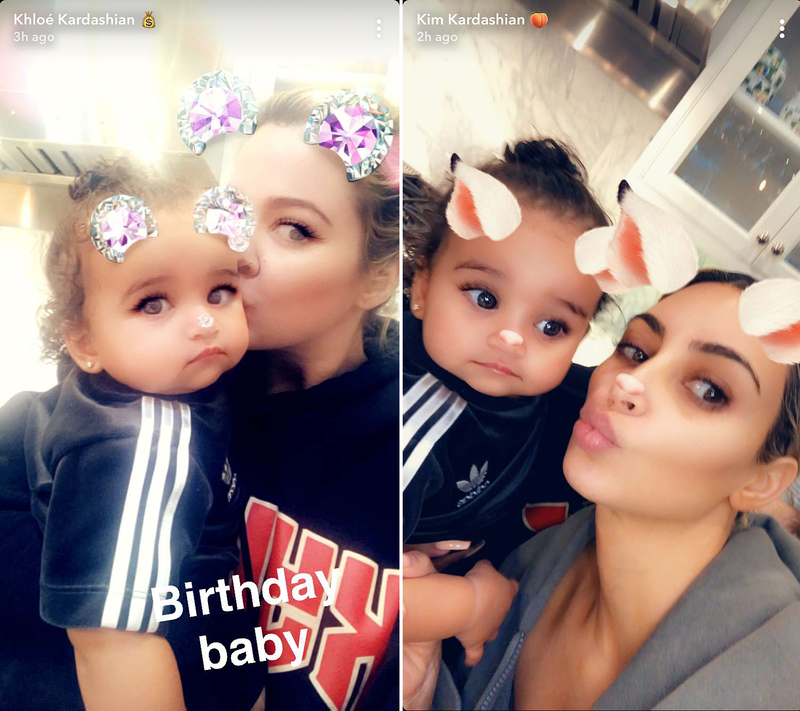 As seen in several Snapchat posts, Kim and Khloe Kardashian were there to celebrate along with Kylie Jenner. 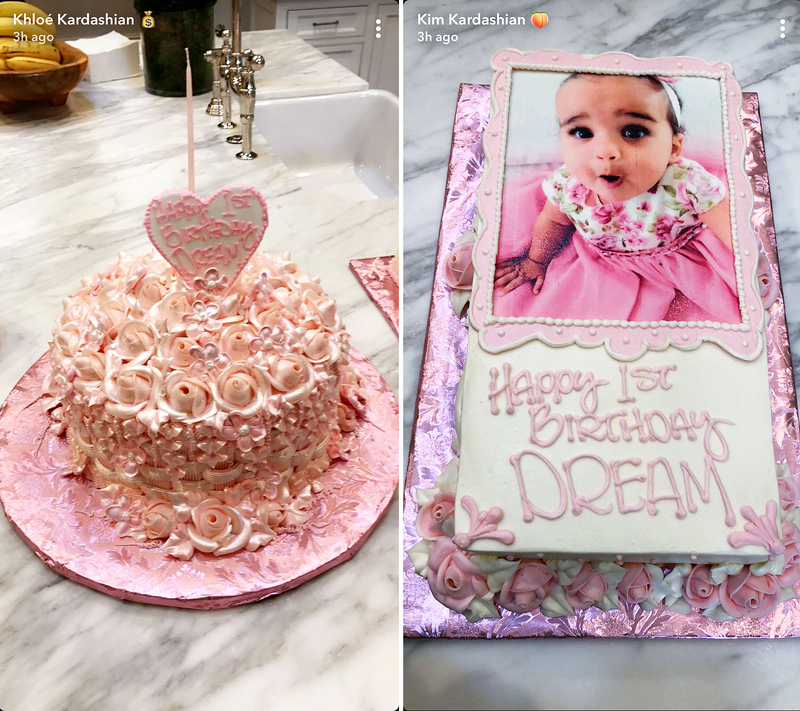 The family celebrated with two pink cakes for the occasion, one covered in the design of edible roses and another with an edible photo of the baby, who Rob shares with ex-fiancé Blac Chyna. While Chyna, 29, wasn’t seen in any posts from the fete, the Lashed Bar owner was with her daughter on Tuesday, November 7, and shared an adorable video of Dream taking some of her first wobbly steps in order to get a chicken nugget. Dream will soon have three new cousins to celebrate milestones with. As previously reported, Kylie is expecting a baby with boyfriend Travis Scott around the same time that Khloe will welcome her first child with boyfriend Tristan Thompson. Additionally, Kim and Kanye West are also expecting a new addition via surrogate, who is due shortly after Christmas, a source exclusively tells Us Weekly.